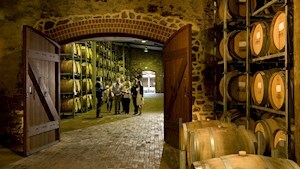 Wander among shady trees to fantastic cellar doors. In Reynella, wander amongst shady trees to the fantastic cellar door of St Francis Winery Resort with its Old Distillery and inviting lake. The restored buildings of the Old Reynella Horse Changing Station now contain many interesting collections of historical artefacts, heritage information and photographs, all run by local volunteers. The historic Hardy's vineyard in Reynella (now Accolade Wines) is where the first grape vines in South Australia were planted in 1838. See what people are posting about Old Reynella and Reynella.